Intimate couple before foreplay in bed. 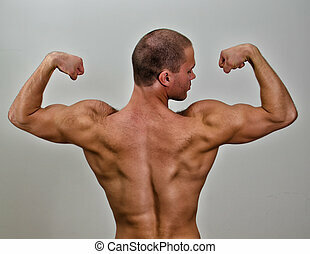 The muscular bodybuilder back. Isolated on white. Half of the muscular bodybuilder back. Isolated on white. The muscular bodybuilder back. On grey background.